For that flawless “I woke up like this” vibe. If you, like me, enjoy delighting friends and coworkers with fun little nuggets of information like why babies smell so good or this study that suggests Oreos may be as addicting as cocaine (which explains a lot) then you’ll appreciate this series of posts inspired by obscure days celebrated in each month. 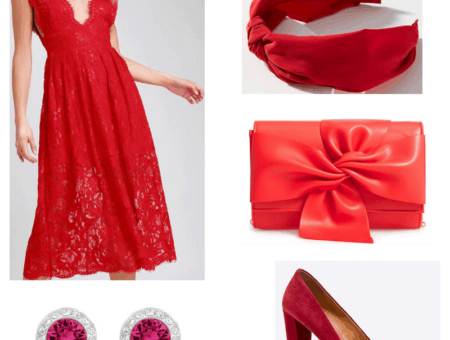 Read on to find out how you can celebrate this August with chic and affordable fashion. To celebrate on August 17, bring a friend and adventure into different thrift shops so you can pop some tags with only twenty dollars in your pocket. You’ll be surprised at all the great deals you will find! What what, what, what. A denim jacket is one of the best pieces you can find in a thrift shop. It’s a long-lasting, quality find that already has the broken-in feel to it, and the more patches and fun phrases on it, the better! 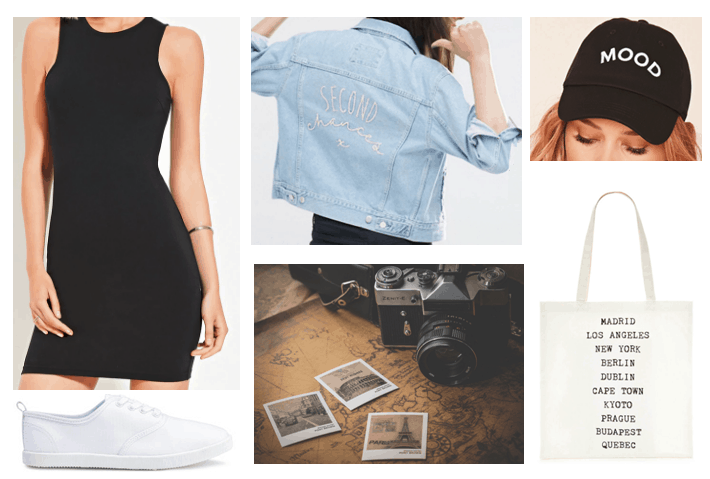 Wear your jacket with a simple black dress, and throw on a a baseball cap and white canvas sneakers to dress down the outfit for a model-off-duty look. Carry a handy tote bag on your shoulder, and you’re ready to do some more thrift shopping. National Aviation Day was created by FDR to celebrate the development of flight on Orville’s Wright’s birthday, as Wright and his brother were the inventors of the first successful airplane. The proclamation in the United States Code gives the President the option each year to declare the National Aviation Day, on which all federal institutions would fly the US flag. This outfit features the bomber jacket, whose design is inspired by the pilots’ jackets in World War I and World War II. Before enclosed cockpits were the norm, these pilots flew in temperatures as low as – 58°F! 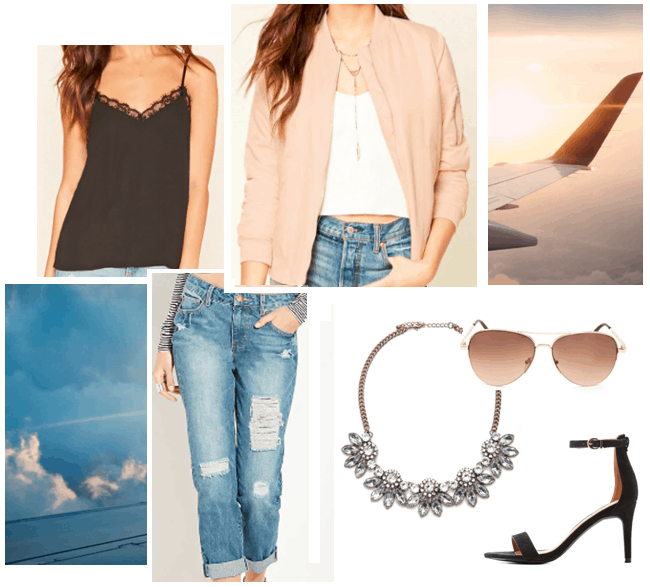 While hopefully you won’t have to experience extreme climate changes, you can still stay warm and stylish in this blush bomber paired with a lace black tank and distressed boyfriend jeans. The elegant black heels and statement necklace add a feminine flair to the outfit. Of course, throw on your aviators to complete the look for a girls’ day out! National Vinyl Record Day is dedicated to the old-school ways of listening to music on phonographs. The iconic black discs are made of polyvinyl chloride etched with spiral grooves. These grooves were created by performing the original recording near a cutting tool that vibrated when hit by the actual sound waves from the recording horn. Go to your local record store to pick up some records! 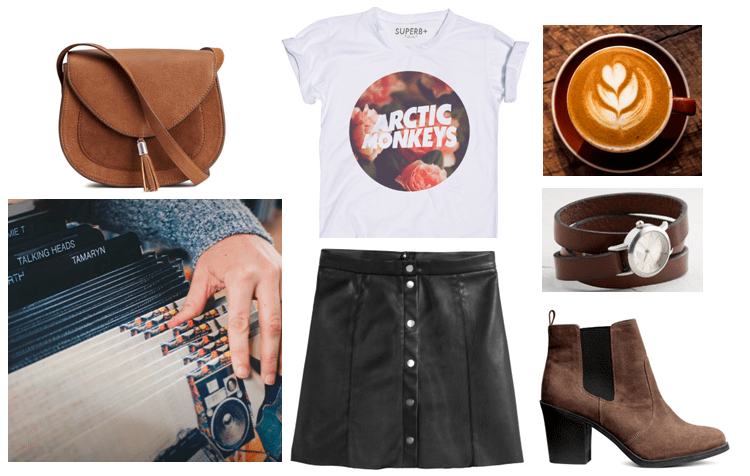 I styled this look around a rock ‘n’ roll band tee. Tuck the shirt into a button-front leather skirt, and roll up the sleeves to make the shirt more proportionate to your arm length and also give you that rocker-chic, street-style vibe. 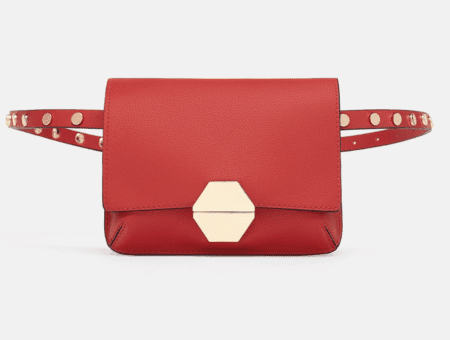 Slip on a pair of brown ankle boots, a faithful cross-body purse, and an analog watch that hearkens back to the old-fashioned way of telling time. Pick up some classic albums to listen to while drinking a cup of your favorite brew! Do you have a favorite album? Are you traveling anywhere this summer? Let me know in the comments below!